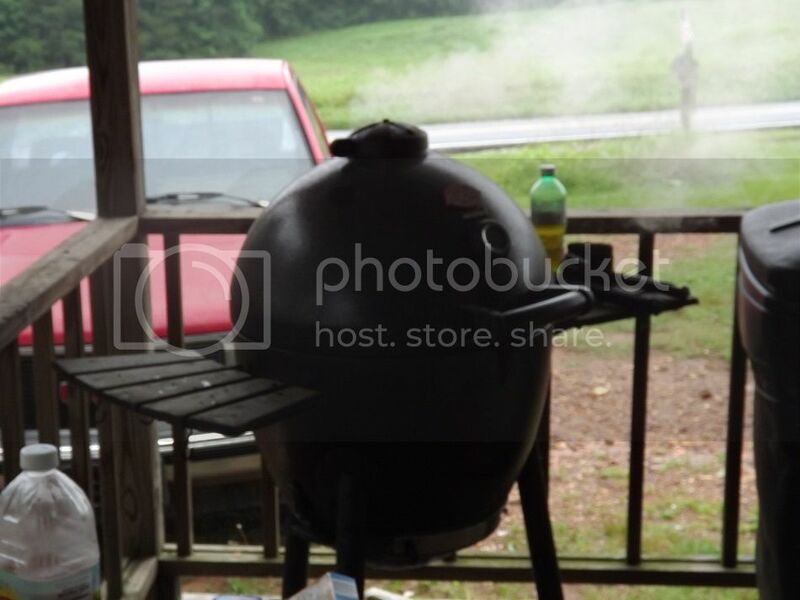 From the replies received from the MY DRY RUB post that I made, it appears that there are several on here that cookout on some sort of grill or smoker. Am I right? Not a survey, as such, but I would like to know a few things, like. 1. What type of grill do you have, Charcoal, Gas, Pellet? 2. Why did you choose that type of grill? What are the pros and cons. 3. 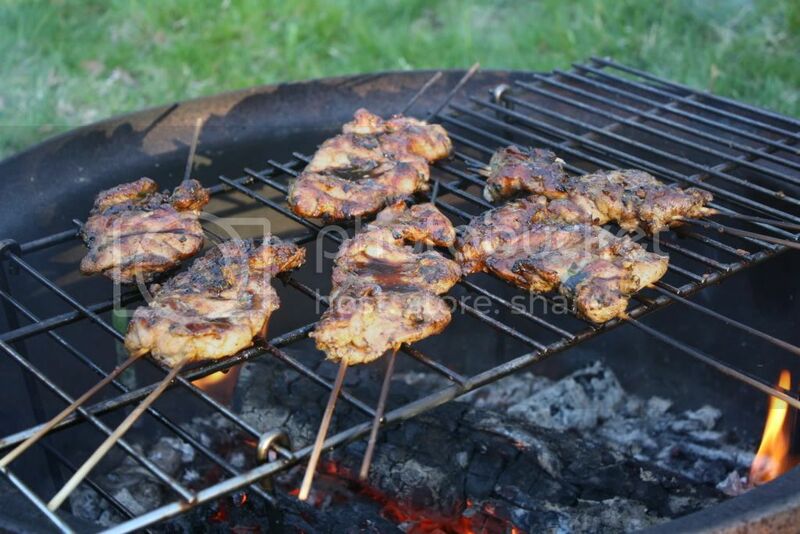 If charcoal, do you use briquets or lump, and why? 4. Do you call grilling bar-b-queing? There is a difference, you know. 1. I have a small CharGriller grill, A Weber Smokey Mountain Smoker and a small Weber Smoky Joe (a small grill I used when we were full time RV’ing). All use charcoal. 2. I choose a charcoal cookers for one simple reason, the food cooked on them just taste better. I can also control the temperature better. I’ve had two gas grills and were not happy with either. Granted, both were cheep, in the ground natural gas units and could not be moves. When we lived in Texas I could not keep the thing lit if I tried to turn the temperature down low to cook something like ribs or such. The wind keep blowing the darn thing out. It was wide open or nothing. I understand that it takes a little longer to get a charcoal grill ready to cook, but it takes about 10 minutes for a gas grill to get really hot enough to grill. Where it takes maybe 18 to 22 minutes for a charcoal grill to be ready. To this I only say, "What's 15 minutes, if you want to get the full flavor of a steak that you paid $8 for?" 3. I mostly use briquets but have used lump. Lowes, Home Depot, and Wal-Mart have Kingsford briquets on sale before several holidays and I try to buy maybe 80 or 100 pounds each time. They never put lump on sale. Here in Lower Alabama I can get lump, but there are lots of places where it is hard to find. I know that lump burns a lot hotter than briquets and is really good (maybe better) for grilling steaks, but often times it is made from scrap lumber and some of the pieces are very, very small. If the pieces were larger and burning time was a little longer I would use more lump than I do. 4. I NEVER get the two mixed up. You do not bar-b-que a steak or hamburger, you grill them. 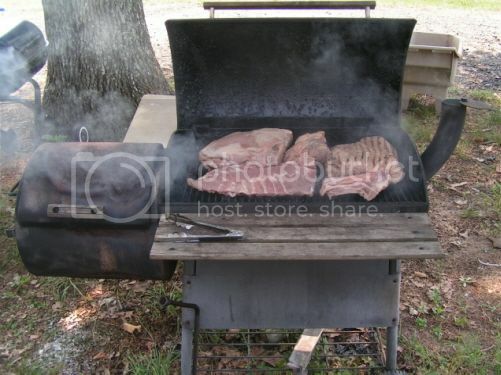 In bar-b-queing meat is cooked at a low temperature for a long time. For grilling the meat is cooked at a very high temperature for just enough time to produce the desired doneness. I know, I'm a Grill/Bar-B-Que snob, but so what? I wouldn't call you a snob, but rather someone who knows that there are different tools for different jobs...like many of us here. I have a gas grill, charcoal grill and an electric smoker. Each has its place, but if I had to lose one, it would be the gas grill. It cooks OK, but does not have the flavor of the charcoal or the smoker. I have a very old New Braunfels Hondo Jr. I chose it because it was free . It is a little rusty and leaky, but it gets the job done for me. I had a gas grill but never replaced it when it bit the dust because things do taste better on charcoal. I love the convenience of gas though. I just use briquets but would like to try lump one of these days. I call it either grilling or smoking. I don't have much experience with either...still learning. pre-kids we had a mini-hibachi; mid-70's I got a Kenmore aluminum clamshell (rectangular) - replaced all the cheap hardware with stainless, and I'm still using it. lumper here . 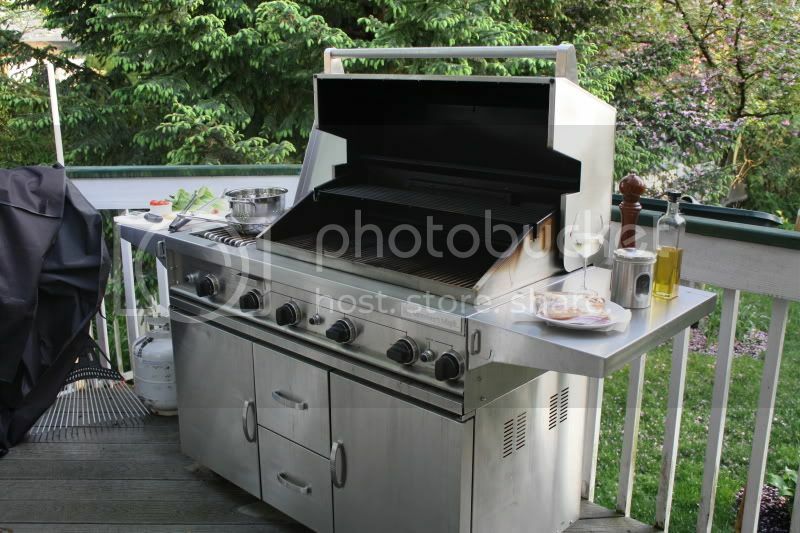 . .
Used to have a gas grill, loved the convenience and the side burner. When it died, I decided to go charcoal for the first time. I didn't like the inability of the gas grill to get good char on meat. fire bed, and probably will never go back to gas. on Competition grade Kingsford, so I stock up then. Funny that you should mention that, LaDawg. Hah!! 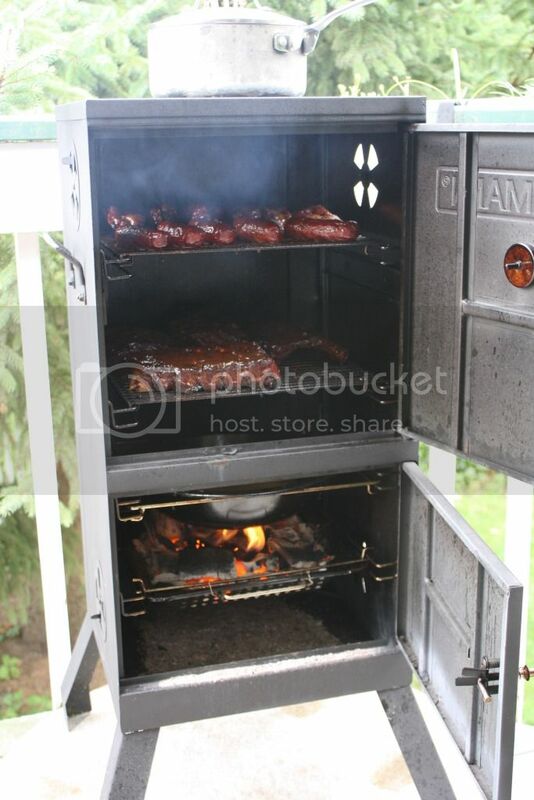 I'm smoking some boneless ribs right now, using THIS (below) for the very first time! I used some of my dry rub to season the meat, and in the smoker it is, being smoked using hickory wood chips. The meat should be done in about 45 minutes. It is what I have the microwave timer set for. And BTW, I wouldn't call you a snob either. My first batch of boneless pork ribs done in the smoker. Stole a taste just to see what it tastes like, and it came out GOOD!! Making homemade Lip Smackin' BBQ Sauce to brush on it. 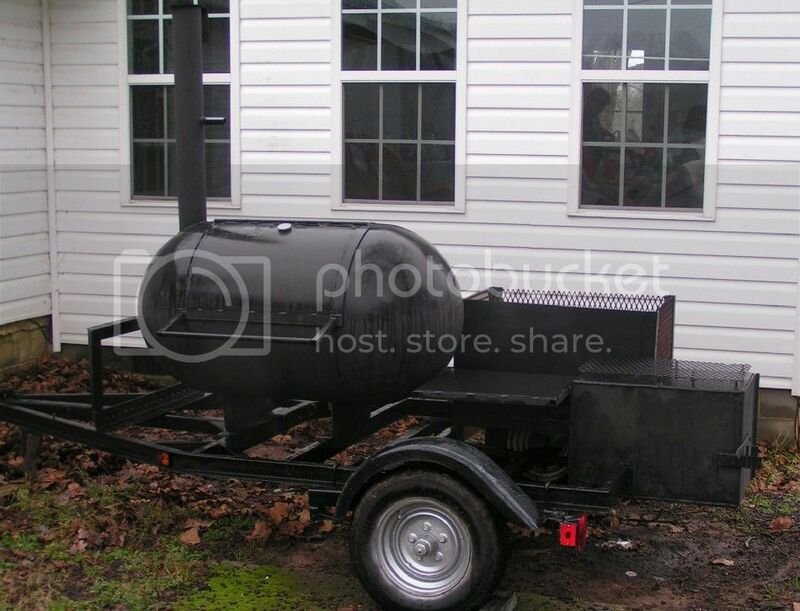 My brother and I were a competitive BBQ team for 10 years, and in KCBS-sanctioned contests, members had to BBQ with charcoal, wood and/or pellets. 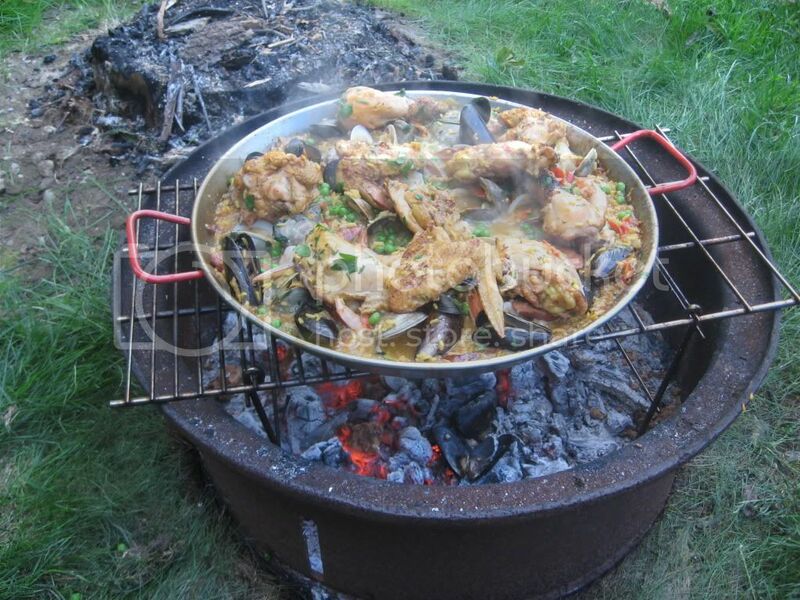 I've only cooked on Weber Smoky Mountains and Weber kettles for at least the last 15 years. I have not had a gas or electric cooker in ages. 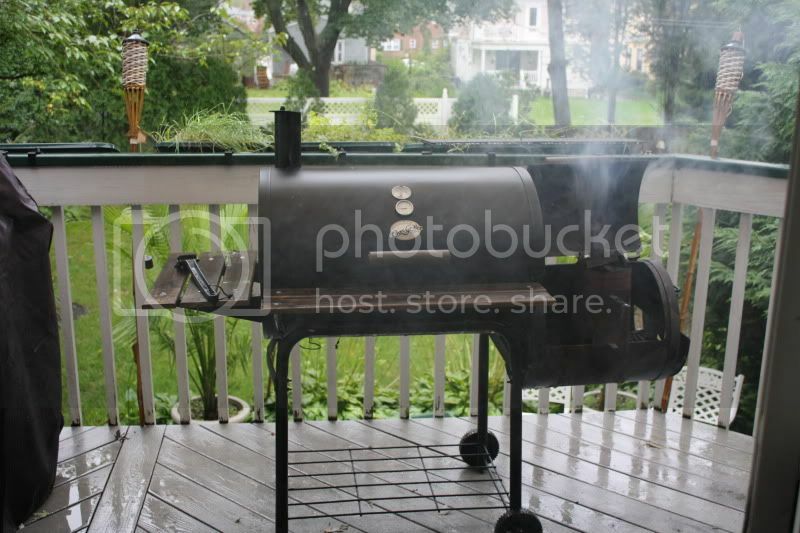 I use Kingsford briquettes, lately the Hickory, to smoke meats in the WSM's. I use wood chunks (hickory is my favorite, but I use cherry to smoke store-bought bacon strips - fantastic!). If I use lump at all, it's to grill burgers, chops, steaks, etc. on my kettle. Mostly, though, I use briquettes, since there really is no reason for me to use lump. There is no comparison when talking flavor - charcoal and wood is far superior to a gas grill. Yes, it takes longer, it's messier, but the flavor is worth it, if you are looking for flavor. If you want fast, convenient and not wanting to heat the kitchen, gas is the way to go. We barbecuers all know that cooking low and slow over (preferably, but not exclusively) charcoal and wood is "barbecue". Cooking hot and fast with any fuel source is "grilling". People having a party in the backyard, grilling burgers, hot dogs, chicken, steaks, etc. are having a "cook-out", not a "barbecue". The cooker they are cooking on is called a "grill", not a "barbecue". Yep, I know the difference I Bar-B-Que and Grill, also smoke bacon and sausage. I have a weber performer that is over fifteen years old. It is a kettle with a gas jet to get the charcoal going hence no lighter taste. Briquettes exclusively. Yup! Home Depot stock ups on sale days. I also have WSM ( Thank you Lee for your kind guidance ). I also got a thermopen BBQ dual thermometer to monitor meat and pit temp in the smoker. We decided long ago that gas just does not have the flavor. P. S. If I close top and bottom dampers, the charcoal goes out and minimizes waste. Adillo303, I can see where the gas jet would come in handy in starting your charcoal. I haven't used starter fluid in years. I use a charcoal chimney and have good success with it. I started off with a cheap Charbroil chimney that I got at Home Depot. That was back when Home Depot had a no hassle return policy and would take anything back. I used the Charbroil for about 6 or 8 months and the handle came off. I took it back and they gave me a new one. Used it for about the same length of time and it's handle came off. Did the same thing. Since Home Depot was just returning the damaged units to the Charbroil, I was going to keep taking them back until they (Charbroil) learned how to make a unit that would last. Anyway, one Christmas my wife gave me a SS unit and it lasted several years. I now have a Weber chimney that at least 4 or 5 years old. I have a few grills, all serve their own purpose. I mix up lump, gas, wood and charcoal as my main source of fuel (in that order) and mix up wood flavorings (hickory, mesquite, oak, apple). Smokey Joe. I use this thing ALOT! Just big enough for dinner, small enough to heat fast after work. My Char Griller, SFB is just about rusted out. Might remove it and patch up the hole to use as just a large charcoal grill. Not a fan of SFB smokers anymore. My main grill, Members Mark, I bought a while back for $200, replaced the burners and knobs. Been a good, solid grill. 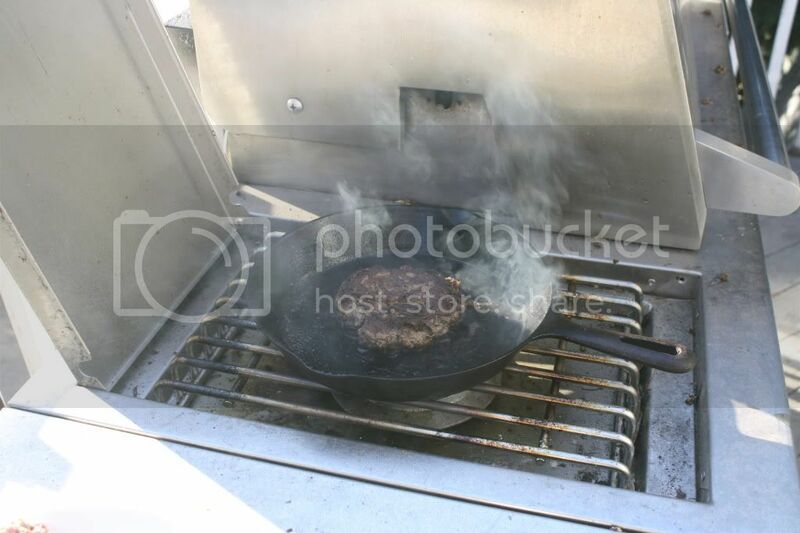 The side burner has uber BTU's, great for cooking burgers in a cast iron pan. I also use foil packs of chips for smoke flavor. My satay grill, just used this last night. Brinkmann vertical charcoal smoker. Love this thing, I plan on buying another one then welding it to the top for more room. (right) My other gas grill. This one is a commercial grade grill/roaster. It uses a 3/4" spit for a whole pig. 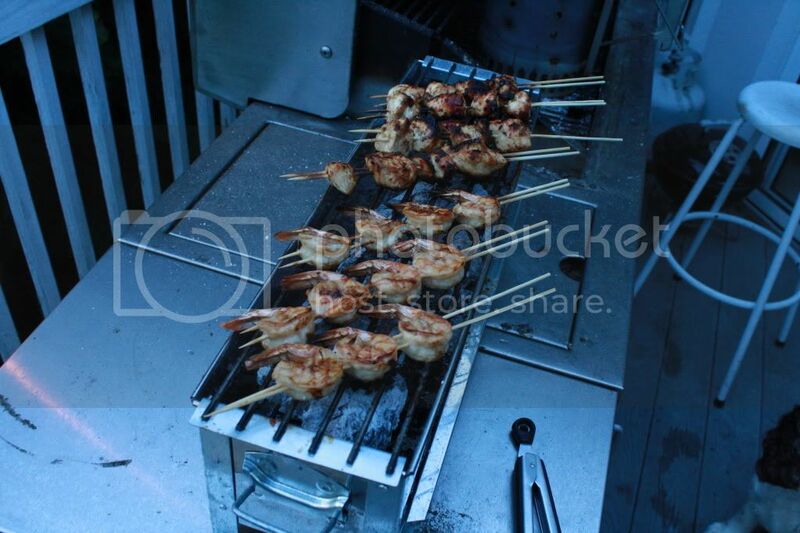 The burners can be raised or lowered via electric motor to control temps for really long cooks. LOL! Excellent photos as usual, HC! Thanks Lee! One thing I forgot to mention, I never used/owned a rotisserie. I only hear good things about them so I want to fit one to one of my cookers and give it a shot. 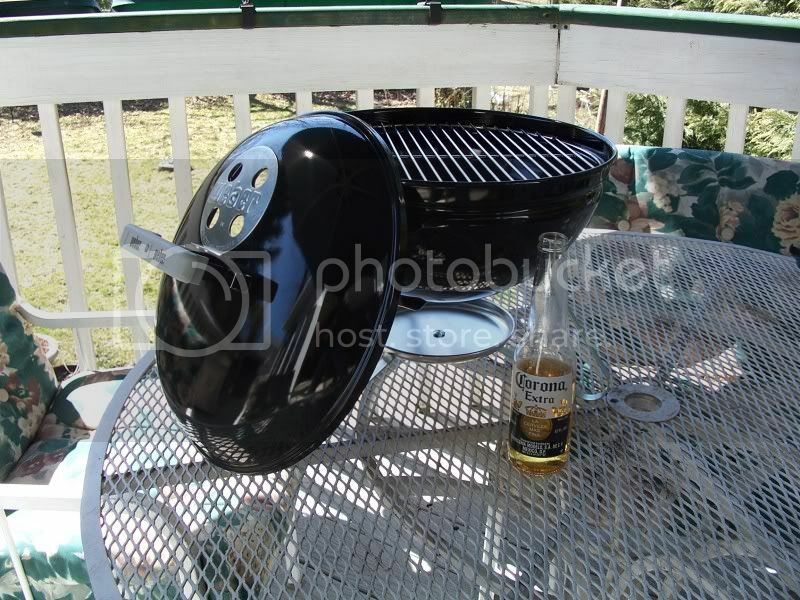 Yes, nice pics of all those BBQ grills! Wish that I had those and a big backyard for them!!! I have a Chargriller also. I have to cook with gas when I go to our timeshare. Hate it. I use both briquets and lump charcoal along with chunks of wook. I use apple wood on pork and hickory on beef. I also have cherry and pecan wood that I haven't tried yet. Cherry on chicken sounds good. I've had a CharGriller for about 8 years. I got a SFB a couple years after I got the main cooker. I've used lump, briquettes, and a mix of both. Lately, I've been using briquettes, for it's slow burn-time. Lump, while nice, burns to quickly for me. My parents have a gas grill. We take the kids over to see G'ma and G'pa every few weeks, and usually do a cookout. I'm slowly learning how to use that gas grill, but prefer the charcoal for flavor. "Grilling" is a high-heat, quick cook of thin, succulent, tender meats. "BBQ" is a low-heat, slow cook of tough, cheap, gnarly cuts of meat that are hard to get tender. Lately, I find myself blending the two. For years, I've done a dish that I call my "Smoke-Roasted Chicken". It's not quite grilling, it's not quite off-set smoking, but rather, something in-between. Takes about 40 minutes. I've also been cooking pork loins on the grill, usually with an offset cook, followed by a quick sear to caramelize the outer surface. I own two stickburners( small and large offset smokers) a gas grill and an Akorn Komado style cooker. I have not used the gasser since buying the Akorn. Of all I have lost in my life, I miss my mind the most. Paymaster, what do you do with the trailer-mounted cooker? Do you compete? Cater? Have big parties in your back yard? I use it for big cooks. I plan to get some mods done to it. I would like to cook over 225* but it won't get over that. Use Mesquite or Hickory or Pecan - just a suggestion. I dislike cooking on a grill with gas as I can do that in the house with a stove, broiler, oven. Outdoors I love to grill with wood and given our location, that's Mesquite. I turn a lot of it, we have plenty for free, grows all over the place, grill with my shavings, offcuts, or pieces that aren't good for turning, great flavor and it burns hot. I build a good fire in the grill, I'll marinate whatever, in about oh, 15-20 minutes it's just the right sizzling coals, no flame so I can sear or cook to however done we like (steaks, fish, hamburgers, squash, shisk-k-bobs, poppers - jalapeno/bacon/cream cheese) - OR - I can double wrap in heavy duty aluminum foil and seal it up so it won't burn, will brown, but not dry and burn and leave it on there for whatever, 25-30-40 minutes, smokey or just cook that way (ribs, venison, roasted poppers after the bacon's done). Anyway, just a thought, wood to me is the best, easiest way to grill/smoke there is. 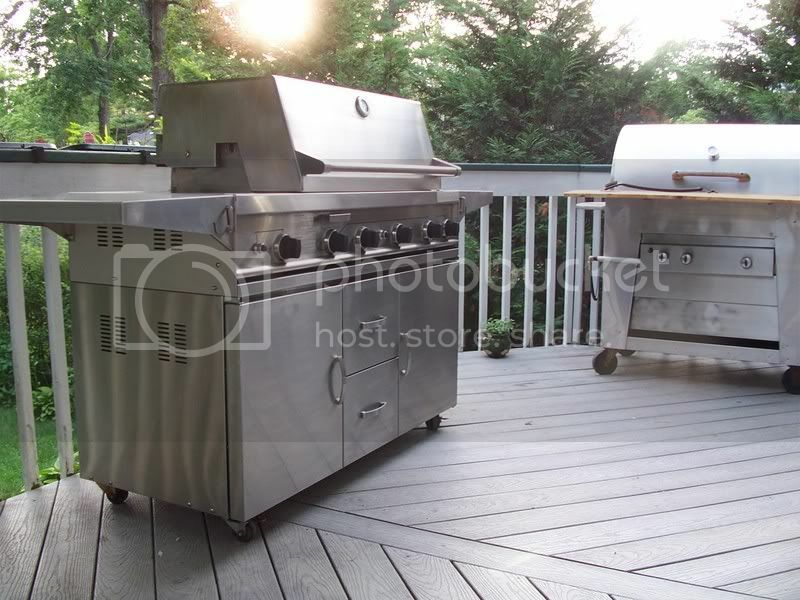 I don't like gas like all this types and models https://bestoutdooritems.com/best-campfire-grill-grate/ nor do I like the briquettes. Might experiement with wood and see what you think, we don't buy chips or anything either, just chop our own and fairly larger pieces than the chips you see for sale. So it'll burn hot at first and for quite some time, hour, hour and a half. Best to you on your grilling adventures - I love to cook outdoors! I have several pieces of outdoor cooking equipment, BGE, Off-set stick burner and Weber 22 charcoal grill, along with several accessories for the BGE and Weber. 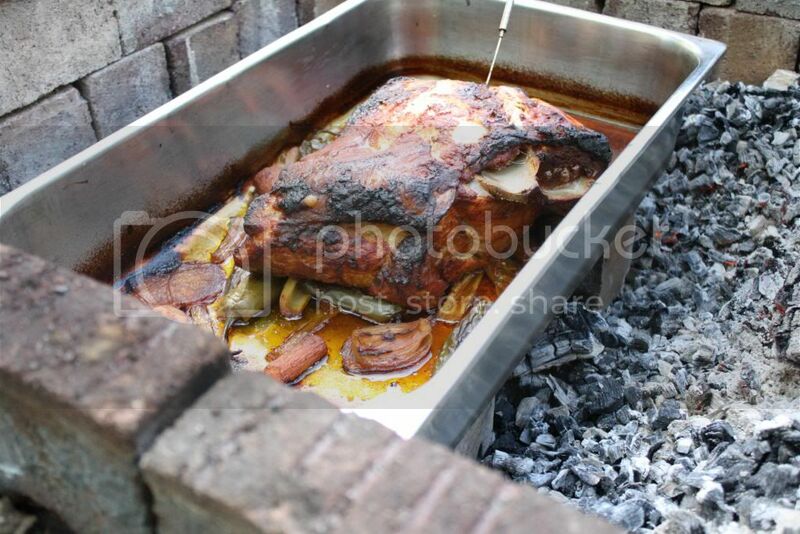 I am ordering some peach splits to do our turkey on the BGE this year, last couple of years I've used pecan. With the BGE you mix wood chunks or 1/2 splits in with either hardwood charcoal or briquettes. The only things I use propane for are the burners I use for crawfish boils and steaming crabs. Have you ever used the "reverse sear method" for steaks?